Trying out oil and palette knife. 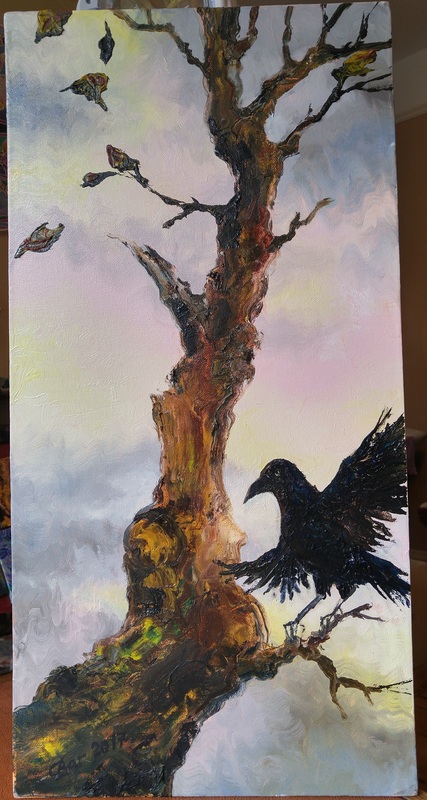 I wasn’t keen on the over-pink sky, but liked the sense of the tree and the crow both being old but hardy. They’ve weathered worse storms before!